Explanation: The 1970s are sometimes ignored by astronomers, like this beautiful grouping of reflection nebulae in Orion - NGC 1977, NGC 1975, and NGC 1973 - usually overlooked in favour of the substantial glow from the nearby stellar nursery better known as the Orion Nebula. Found along Orion's sword just north of the bright Orion Nebula complex, these reflection nebulae are also associated with Orion's giant molecular cloud about 1,500 light-years away, but are dominated by the characteristic blue colour of interstellar dust reflecting light from hot young stars. 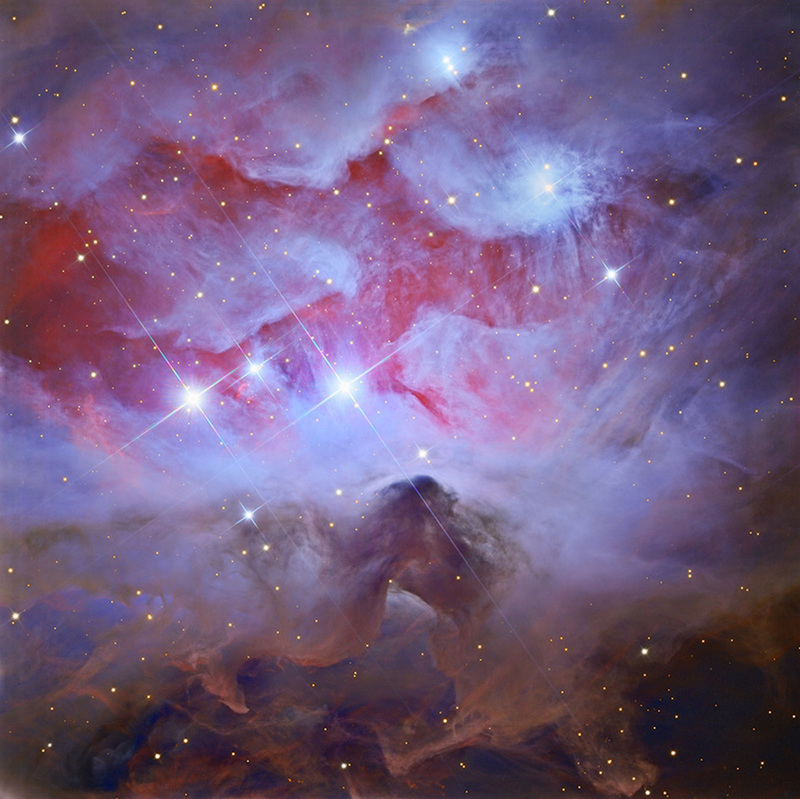 In this sharp colour image a portion of the Orion Nebula appears along the bottom border with the cluster of reflection nebulae at picture centre. NGC 1977 stretches across the field just below centre, separated from NGC 1973 (above right) and NGC 1975 (above left) by dark regions laced with faint red emission from hydrogen atoms. Taken together, the dark regions suggest to many the shape of a running man.